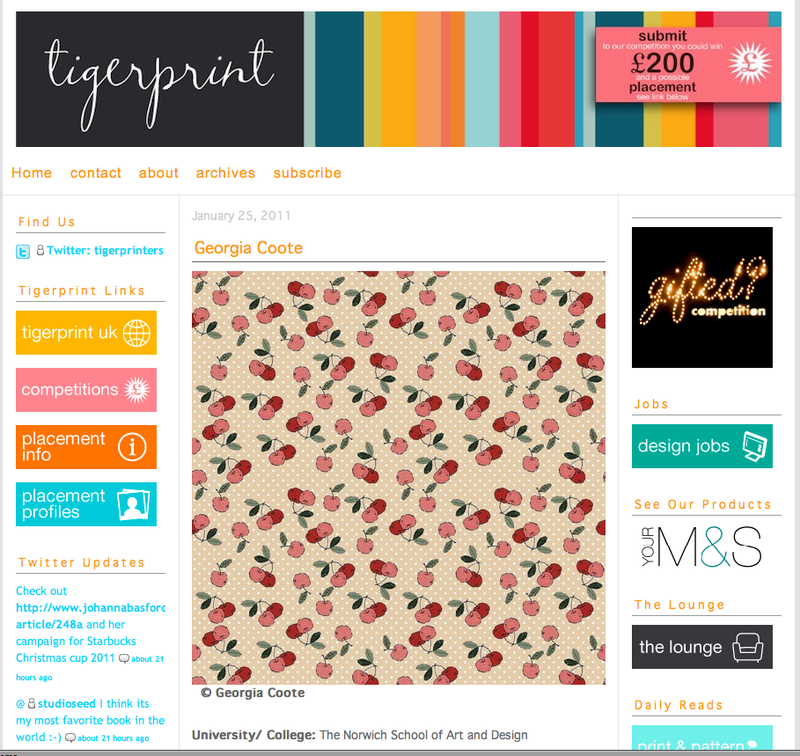 Today I was really excited to be featured on the Tigerprint blog. I frequently visit the site to look at new designers, competitions and inspiration. Lately it has featured some of my favourite new designers so was very pleased to be in their company. To check out the post please click here. Many thanks to Vic for writing it. Thats Marvellous Georgia - Very Well Done !!! It was lovely to read about you on the Tiger print site. What a very clever girl you are!! Looked at some of your favourite sites and can see where you get your inspiration from. I am now following some of them.Very well done.